What does the National Intelligence Council think of Russia? With the Trump administration having introduced “alternative facts” into the U.S. political lexicon, rational and objective analyses of the threats facing America are more important than ever. At the same time, the administration’s intolerance of alternative points of view decreases the likelihood that they will influence policy. The National Intelligence Council’s (NIC) latest quadrennial report—Global Trends: Paradox of Progress—invites needed debate over where the world is headed over the next two decades. The report arrived in the wake of President Trump’s unexpected victory and is a chance to assess whether some of the most pressing foreign policy topics are being considered from all angles. 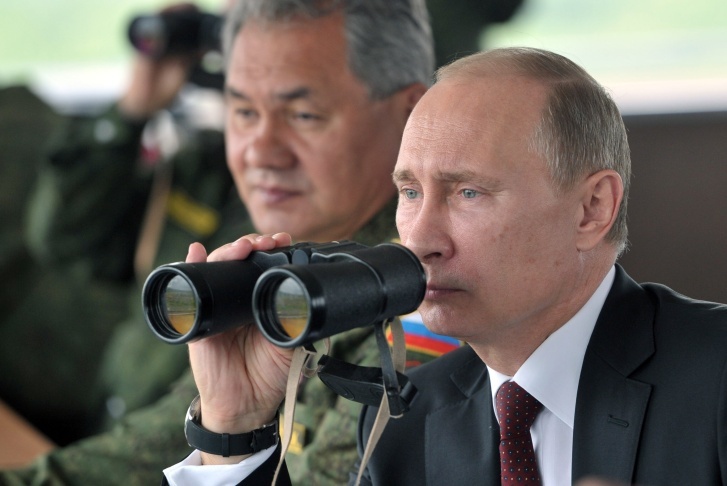 On one such topic the report points to some fresh thinking: just how big a threat is Russia? With discussions on Russia focused with the Trump-Putin relationship, the report offers useful comparative data points. Projecting to 2035, it expects Russia’s population to be slightly more than 1/3 the size of the U.S.’ (135.6 million and 365.2 million respectively). Additionally, after a period where Russian life expectancy plummeted immediately after the collapse of the communist regime, the country will experience only small gains in life expectancy by 2035 (67.1 years for men, 77.8 years for women) and will remain far behind America (80.4 years for men, 83.9 years for women). Russia’s population will also be slightly older than America’s in 2035 (Russia’s median age is projected to be 43.6 years, compared with 40.8 years for America). By the numbers then, former President Barack Obama was on solid statistical ground when, during his final press conference last December, he described Russia as a “smaller” and “weaker” country. How, then, could it significantly weaken America? The report cites further economic pressures that could inhibit Russia’s ability to project power. If global growth were to weaken over a lengthy period of time, energy prices would likely decrease, undercutting Russia’s chief source of economic strength and one of its main levers to exert political pressure on its near abroad. Meanwhile, the more nations seek to move away from fossil fuels to combat climate change, the more demand for Russia’s hydrocarbons reserves could weaken, further impacting its economy. One of the report’s scenarios sees an international system devolving to individual nations seeking to be “islands in a sea of volatility.” This scenario predicts Russian actions that harken back to George Kennan’s Cold War-era description of Russia’s view of itself, defending its sphere of influence against what it sees as an ever-encroaching world. In this projection, Russia will continue to be active in the former USSR territories both to re-assert its great power status and, in its view, to protect itself. At stake is the independence of the former Soviet satellites and the degree to which America and its NATO allies will defend their security guarantee. One weakness of predictive reports is a tendency to assert predictions that are in fact retellings of the past and affirmations of the present. “Moscow will test NATO and European resolve,” the report predicts, “seeking to undermine Western credibility.” This is a timeless statement of Russian policy since the end of World War II, and therefore a safe one to make. Overall, however, the NIC report delivers on a needed premise: to challenge the discussion on global threats to expand beyond clichés and into fresh thinking. Across its different scenarios, the NIC presents a picture of the world to come as more complex, divided, and volatile. It stops short of flatly predicting the world will be a more dangerous place in 2035, but that perspective permeates its findings. That is enough to give today’s foreign policy planners pause.